NEW YORK: The expanding use of full wrap shrink sleeve labels on bottles and containers are reported causing concerns for the recyclers.The Association of Postconsumer Plastic Recyclers (APR) has formed an expert group to address the issue. 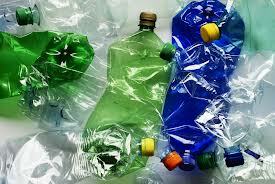 According to APR studies, the full wrap around the containers leave them unrecyclable. The full wrap shrink sleeve labels which were earlier common in PET bottle are seen expanding to polypropylene bottles and containers.APR indicates that the sorting equipment cannot identify the resin composition of the container that the label is covering. Also the recyclers complain that many of these labels are not properly removed during the washing process. The group has come out with a set of directives to resolve the above mentioned issues. The labels used in bottles and containers should meet the following criteria.The label does not interfere with the ability of a NIR automatic sorter to identify the underlying PET bottle. The label separates from the bottle in a whole bottle wash step. Any sleeve label that remains after bottle granulation will float in water. Label residue present during hot caustic wash will not cause discoloration of PET flakes or molded plaques made from flake.